The Gods Own Country Ayurvedic Resort Kovalam, one of the best ayurvedic resorts in kerala is a peaceful, deeply spiritual Ayurvedic Health resort situated in a pristine place called Chowara, blessed by nature in the Gods Own Country Kerala. The Ayurvedic Resort is set in the amidst of coconut green gardens that bestows absolute peace and tranquility upon all its habitants - the people, birds and animals. 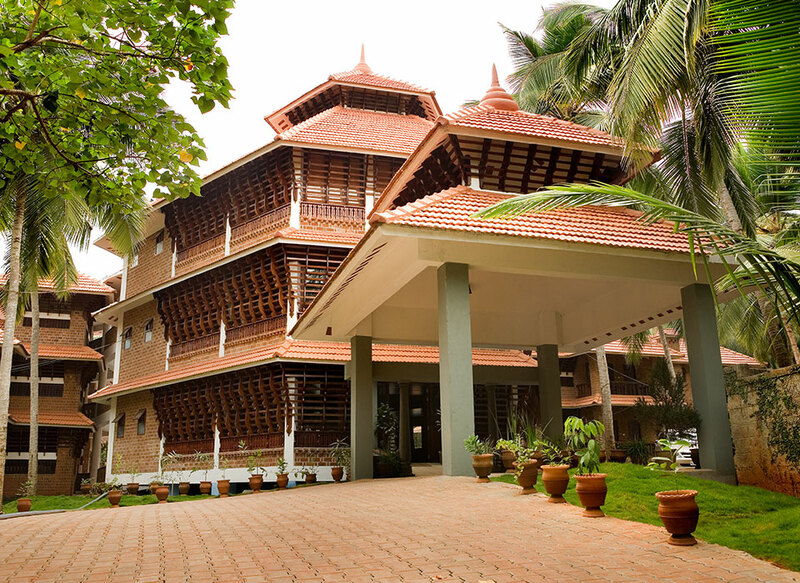 Gods Own Country Ayurvedic resort kovalam represents authentic, traditional architecture with its quaint tile roofed timber houses, which allows for a living in communion with all the elements of nature, in perfect resort ambiance. Unspoilt and unexplored, enveloped by the most serene backwaters the resort is tucked away in an ambiance filled with more greenery and tranquility. the Gods Own Country ayurvedic resort Kovalam is a truly window in to paradise. Here you can benefit Ayurvedic treatments in a combination with spa and meditation which assures you complete wellness in a peacefully blissful environment. After a holiday here, you are sure to go back refreshed and rejuvenated. For your stay we offer spacious cottages elegantly and mindfully built with the ancient science which consciously integrates natural elements such as light, wind, space and aesthetics. The rooms and cottages at Gods Own Country Ayurvedic Resort Kovalam are a perfect blend of Kerala's traditional architectural charm with luxurious, modern comforts which also offers the views to the beckoning outdoor swimming pool. We weaves a Gentle Magic through Ayurvedic Remedies, Yoga, Meditation, Spa, Pranayama, a vegetarian Diet and a Full range of Ayurvedic Treatments. We have Multi cuisine Restaurants within the resort serves wide variety of local as well as multi cuisines that can amuse your taste buds. The Restaurant also provides pure ayurvedic diet recipes for the patients as per physician’s advice. Though we have a fully equipped restaurant you have the right to choose your menu, because the food of your choice will be served at the place of your choice. 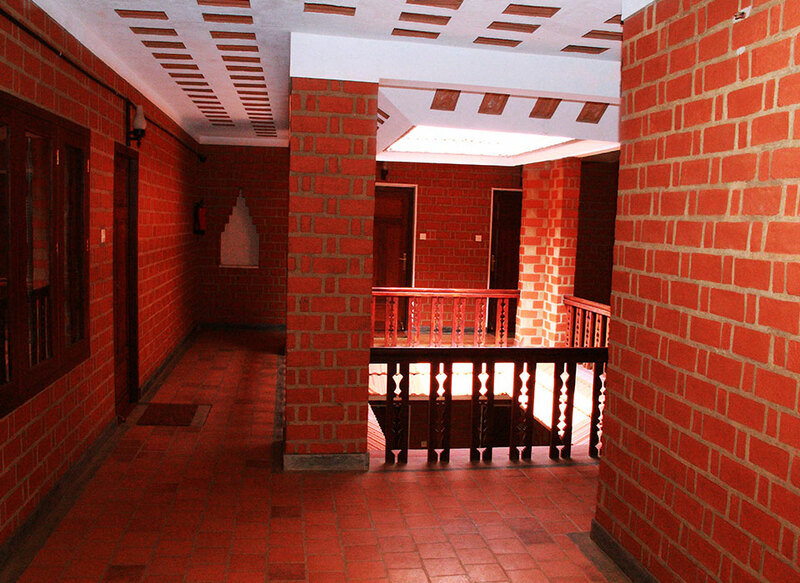 We have a sectioned a specific area within the resort named as Ayur Rathna only for ayurvedic treatments. The medicines used in the treatments are of Oushadi (100% Govt. 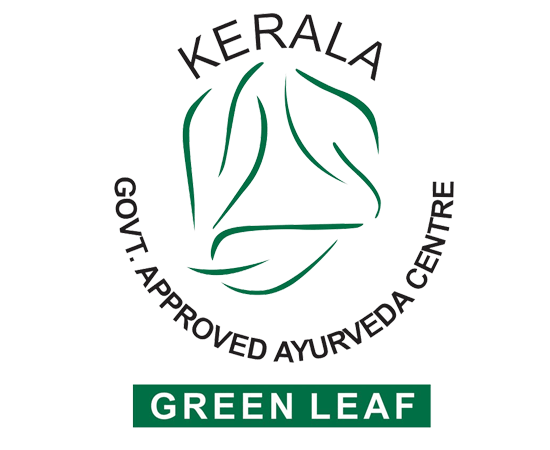 of Kerala Owned Medicine Manufacturing Company). We also provide a complimentary Gift to our guests who prefer Ayurvedic treatments of about 7 or more days to have a boat seeing experiencing to the Poovar golden sand beach. If they need much more than just a boat seeing experience we can also get them to have a city explore. You will find all your requirements are readily and expertly met here. From the time you plan to make a holiday with us to the time you finally depart, we maintain a relationship with you which is characterized by service at its best. You will not fail to pick up a souvenir to support the lingering memories that you take away with yourself.